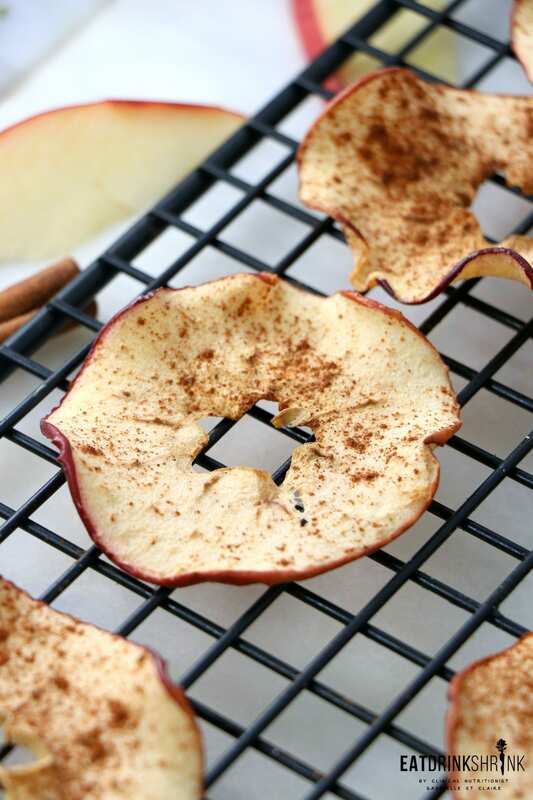 Vegan Baked Cinnamon Apple Chips - Eat. Drink. Shrink. Weekends are for easy eats, and these bake Cinnamon Apple Chips are the perf fit for the fall season! Back in the late 90’s apple chips were a big thing. You could find them at markets nationwide and people thought they were making a healthy choice being that the chips are apple based. However, like the majority of packaged foods there are added sugars and preservatives that defeats the puprose of eating fruit. That being said, I love to make a fresh homemade batch! Back in 2012 I tested countless recipes and whether it was because the slices were too thick, the temp too hight or the fact that they weren’t baked long enough, they never turned out crispy! As a result I didn’t revisit apple chips for a long time lol. However, they are just so easy and you can play with the flavors! What’s fab about this recipe, is everything! 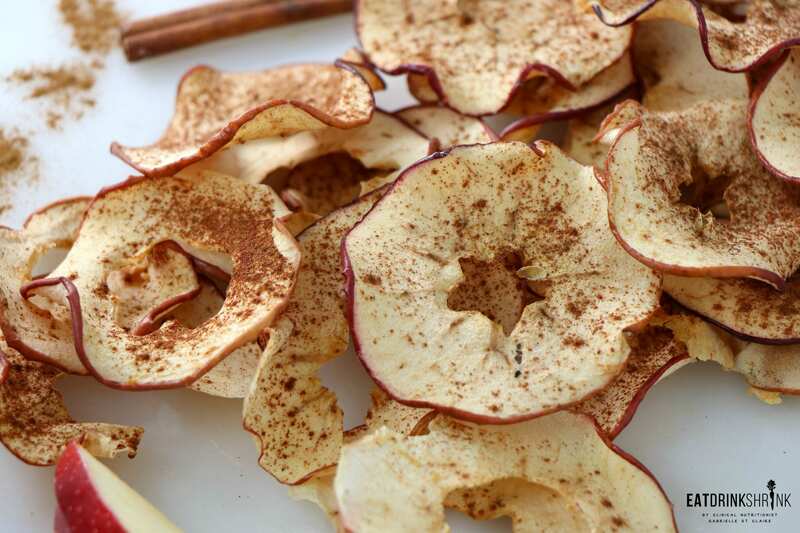 it’s your effortless apple chip recipe, affordable, has minimal ingredients, you can mix up the design in the middle (get crafty), perf for any season, can easily be made in bulk, mix with a variety of nuts or dark chocolate and simply one of my favorite go to snacks! 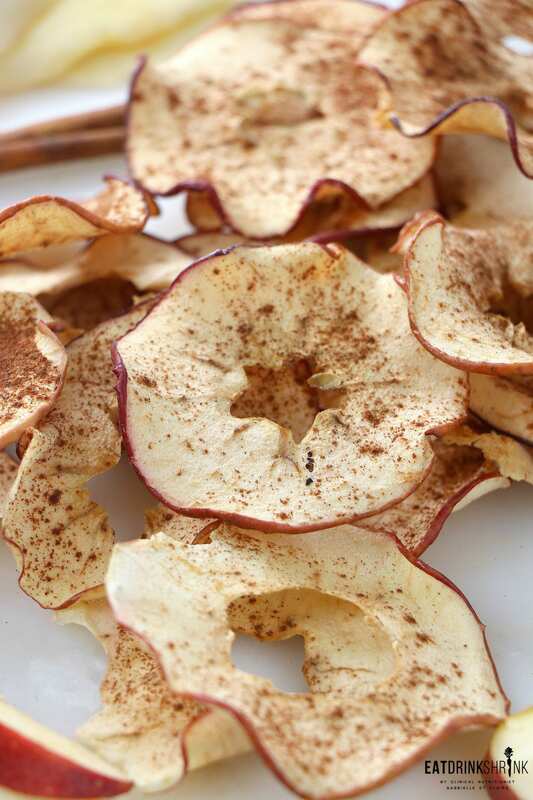 Whether you love all things apples or just simple staple vegan snacks, you have to try my recipe for Cinnamon Apple Chips! Preheat your oven to 200 degrees F. Line two baking sheets with parchment paper. Wash the apples. 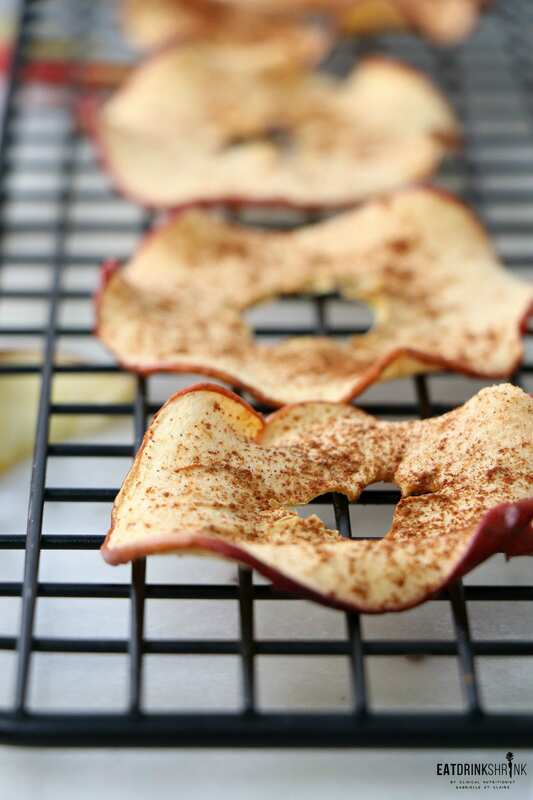 Cut the tops off and take the sliced end of the apples to a mandolin and thinly slice the apples. 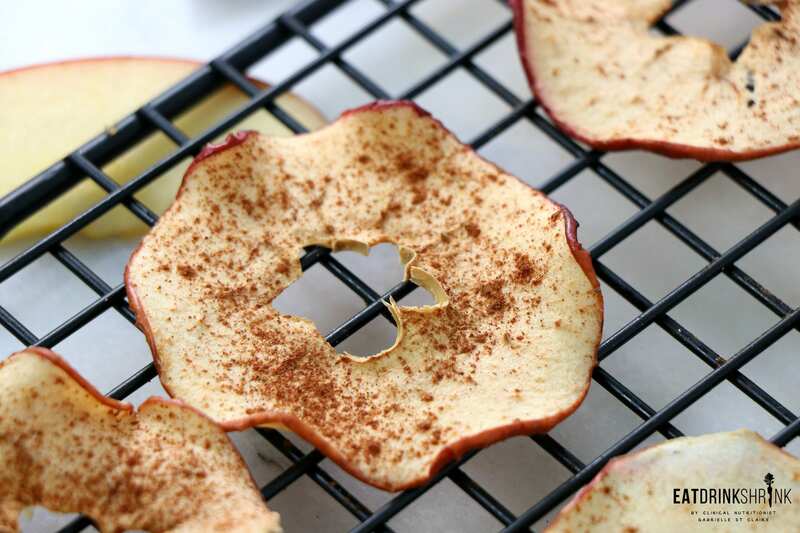 With a knife or a fun shaped cookie cutter remove the middle core of the apples slices. I used a mini star one. 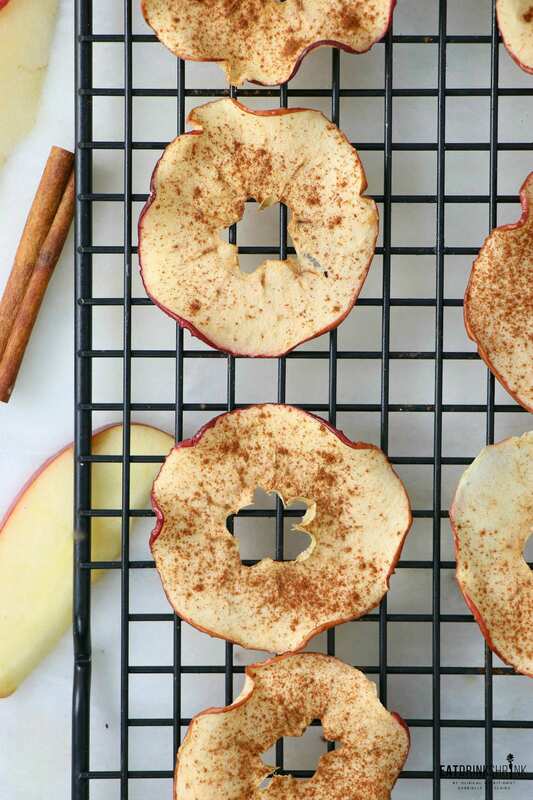 Arrange the apples in a single layer on the prepared baking sheets. 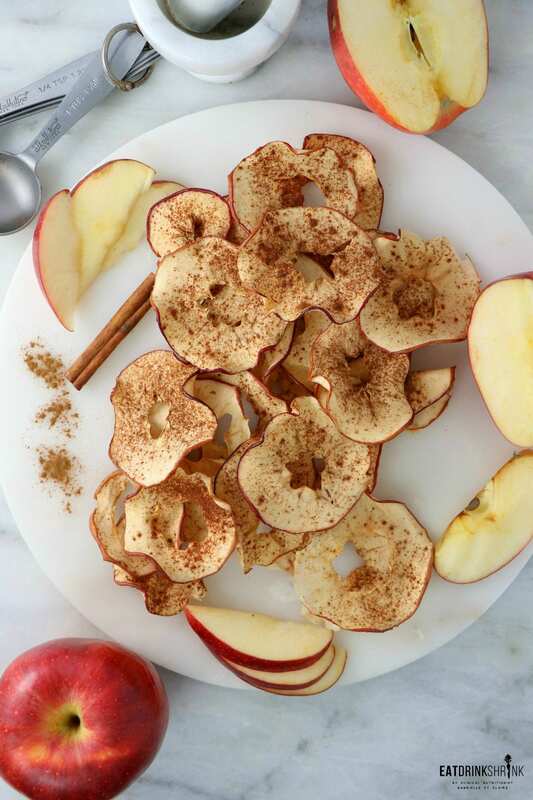 Sprinkle with cinnamon and sugar (optional). Bake for 1 hour in the upper and lower thirds of the oven. Remove the baking sheets and switch the pans' position on the upper and lower racks. Continue baking for 1 to 1 1/2 additional hours. The thicker the slices the longer it will take to cook. Once a chip is crisp when set out at room temperature for 2 to 3 minutes, you're done! You can turn off the oven and allow them to crisp even further or immediately place them in a sealed glass jar. If moisture gets to them they may soften in texture.